Riccardo Muti, Zell Music Director of the Chicago Symphony Orchestra, will conduct the Ravenna Festival’s 22nd annual Roads of Friendship concerts, first in Kiev, Ukraine, on July 1, and then in Ravenna, Italy, on July 3. The concerts deliver a message of peace while promoting dialogue through the shared language of music. Muti will lead the orchestra and chorus of the National Opera Theater of Ukraine as well as the Luigi Cherubini Youth Orchestra in works by Verdi. 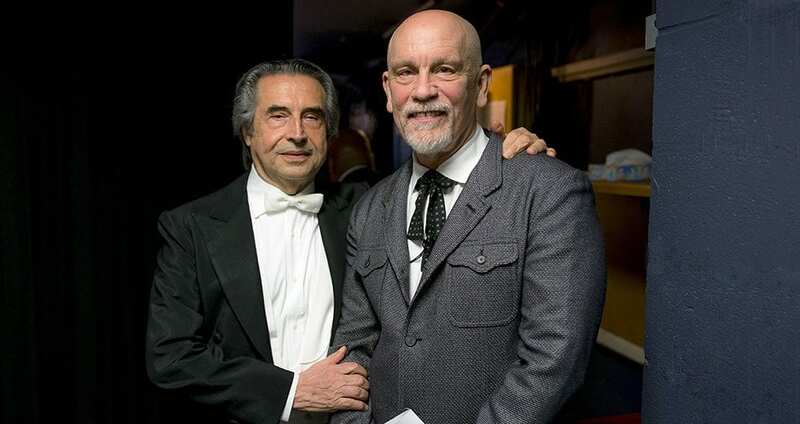 Also appearing will be acclaimed American actor John Malkovich as the narrator in Copland’s Lincoln Portrait. The concerts are part of the 29th edition of the Ravenna Festival, the summer music and arts event founded in 1990 by Cristina Mazzavillani Muti. The theme of this year’s festival, which began June 1 and runs through July 22, is “We Have a Dream,” a salute to the American civil-rights icon Dr. Martin Luther King, 50 years after his assassination. Maestro Muti will lead the orchestras and chorus in Verdi’s “Stabat mater” and “Te Deum” from Quattro pezzi sacri (Four Sacred Pieces) and excerpts from the opera Nabucco, including the overture and choruses “Gli arredi festivi” and “Va pensiero,” as well as Copland’s Lincoln Portrait. Malkovich also served as narrator in this work, which features excerpts of speeches delivered by President Abraham Lincoln, during CSO concerts under Muti in April. The Kiev concert will occur in the square overlooked by St. Sophia’s Cathedral (and which bears its name, Sofiyska Square). The young musicians of the Cherubini Orchestra, an ensemble created in 2004 by Muti, will perform side by side with the artists of the National Opera of Ukraine (established in 1867, in the name of a founder of modern Ukrainian literature, the poet Taras Shevchenko). Also appearing as part of the joined chorus will be artists of Kiev’s Credo Chamber Choir and students from the Petro Tchaikovsky National Music Academy and the Mariupol Music Institute. Two days later, the concert will be repeated in Ravenna with the same personnel. RAI Italian Television will broadcast the Ravenna performance live; later, RAI 1, Italy’s most popular television channel, will rebroadcast the July 3 concert, adding footage from Kiev.